We know that most great gaming mice are not cheap but they are a good investment especially for PC gamers of every stripe and the best way to select them is by considering your gaming preference. In today Roccat Kone Aimo vs Logitech G502 article, we are going to give you information regarding these popular gaming mice about what they can offer to you as well as how they differ from each other. If one or both of them took your interest, go check our article below. The market for gaming mice is very tight and each company are continuously releasing powerful peripherals for their customer each years. 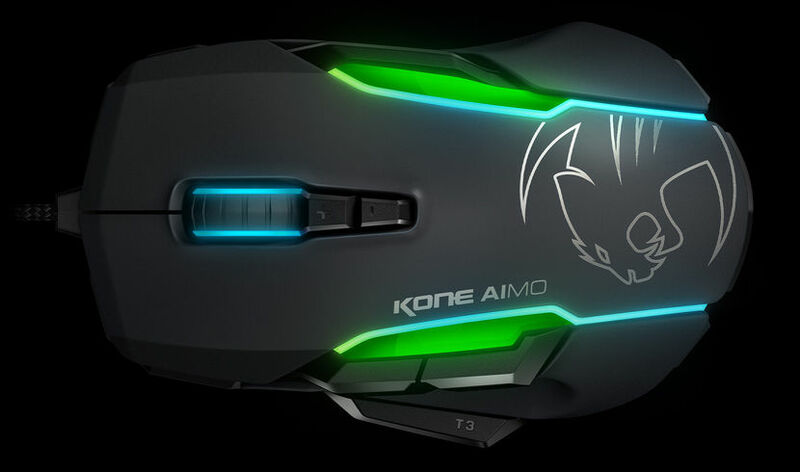 Recently, Roccat finally launched their latest AIMO mouse named Kone, which boasting its brightly designed RGB and of course a magnificent performance for any type of games. This one is claimed to come with intelligent, organic and evolving Living Light that probably planted with an actual AI inside. If you want a gaming mouse with a beautiful lighting without scarifying performance, the Roccat Kone Aimo is probably for you. When you look at the mouse for the first time you may realize that the Kone is slightly bigger than typical gaming mice. In the RGB itself, this one has some of the most prominent lighting of any gaming mice with its bright light and thick LED diffuser strips. Depend on the user, the mouse will feel great when gripped probably because of its prescriptive contour as well as good thumb grip that you can get used to almost instantly. It also has a rather smooth surface with a little texture. Move into the capabilities, the Roccat Kone Aimo has 10 programmable buttons or gestures besides the regular left and right buttons. The scroll wheel will leans to left and right as well as not depress and the mouse can give a solid click in each movement. You can adjust this feature through the mouse Swarm app but it is only available in Windows and not for OS X. It also has 4 profile slots for different selections and if you want, you can use all of them through the app. As for the DPI, just like many other gaming mice, you can adjust it as you like with the two button located behind the scroll wheel. However, the standard range of the preset that can be accessed from these buttons are only less than half of the mouse that maxed at 12000 dpi. Through the app, the company also let you have some control over its hardware features and you can change the polling rate between 125Hz, 250Hz, 500Hz, and 1000Hz but it is recommended to stay at 1000Hz. For the lighting zone, taken from techradar the Kone Aimo has 5 custom zones; one under the scroll wheel, two at each side of the mouse and the last is in the outline of the mouse’s plastic sections. The latter is able to display four-color gradients and allow you to use up to 11 colors if you want. Another great gaming mice with RGB LED that you can opt to is the Logitech G500 Proteus Spectrum. This model is very similar to the previous Proteus Core but instead of the blue LED, this one is tunable. We know lightning is not an important thing to make you a good player; if you are good then you should also perform well with non RGB mouse but for those who also take an interest on the aesthetic side of a gaming mice, this feature sure looks attractive. Just like any gaming mice, Logitech also let you customize G502 through their app and it actually offers you a myriad options for tweaking and customizing your mouse as you want. Since it also comes with on-board memory, you may choose where to store configurations whether in the mouse on board memory or per-game on your computer. If you are a first time user, the customization may looks overwhelming at the beginning but is actually quite easy to memorize and adapt to. The mouse comes with a high DPI up to 12000 dpi and you can adjust the setting through the app with 50 dpi increments. The software will also searches your games in your hard drive to give them default button profiles. This capability is good, so you don’t have to deal with the hassle of assigning each of them to a function. Another impressive capability from G502 is it able to examine your surface and configure called the surface tuning. The mouse itself can work just as good whether you use a table or with a mouse pad. 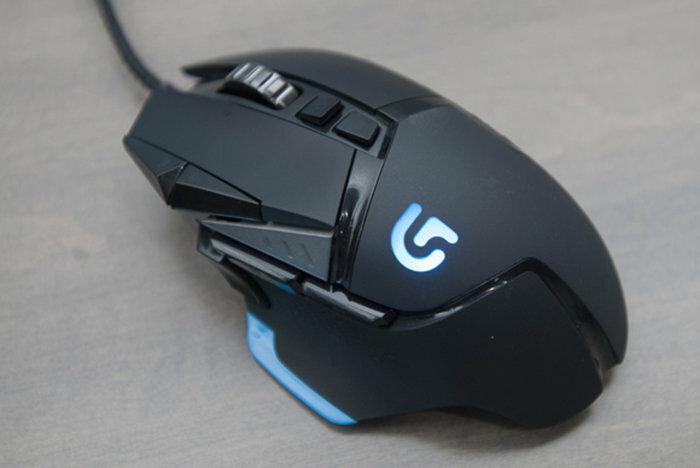 As it has been mentioned earlier, G502 has RGB lighting but you probably will disappointed knowing that the only illuminated part is the palm rest and DPI indicator. However, the color, brightness and effects as well as lighting profiles can be adjusted just as you like. 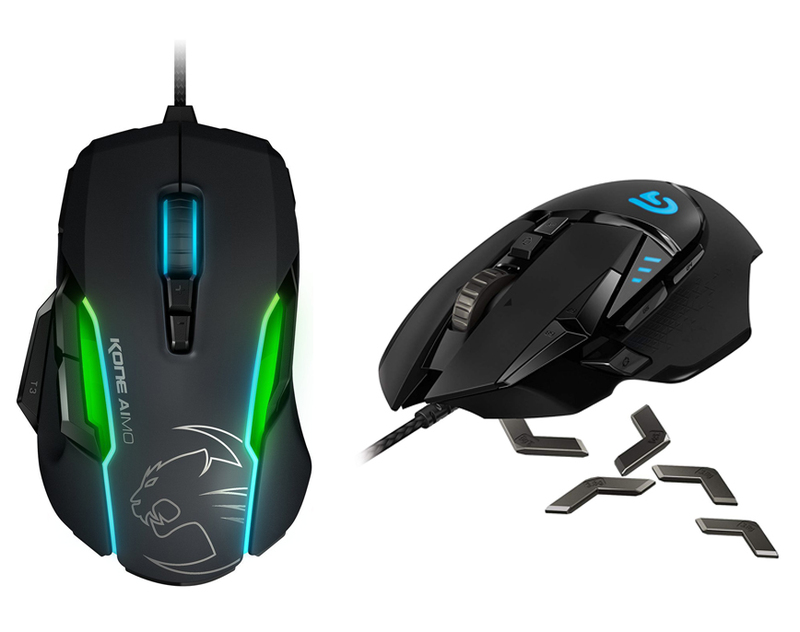 Now, let’s compare Roccat Kone Aimo with Logitech G502. Both of them come with the same maximum dpi at 12000 but what makes them differ from each other is the RGB lighting. Kone has with 5 illuminated parts while the G502 only has 2 illuminated places. Another difference is 502 has 11 programmable buttons while Kone only has 10. All in all, the decision is all yours. Both of them have the similar performance and the distinct difference between them is only the lighting. If you are here to choose which one is the better tunable RGB mouse and don’t mind about price gap, we will recommend you Roccat Kone Aimo with its 5 custom zones.